New evidence presented in court on Monday paints a clearer picture of discussions taking place inside the state’s main health agency as it seeks to make deep cuts ordered by state lawmakers to a therapy program for poor and disabled children. Lawyers for the state were again in Travis County court on Monday defending deep cuts made by state lawmakers to a speech and physical therapy program for poor and disabled children. Therapists and families have now sued the Texas Health and Human Services Commission twice over the impending budget cuts, which they say will force health professionals to drop out of the program and illegally jeopardize care for some of the state’s most vulnerable residents. New evidence presented Monday paints a clearer picture of discussions taking place inside the state’s main health agency as it seeks to follow lawmakers’ wishes by slashing by roughly 20 percent the payments therapists receive from Medicaid — the public insurance program for the poor and disabled. A Travis County judge dismissed the previous suit before it went to trial, when the state announced it would delay implementing the cuts until Oct. 1. The seemingly simple goal to reduce payments has been complicated by some ambiguous language in the state budget, which orders the hefty cuts but also directs the health commission to consider “access to care.” Families of children say the speech, physical and occupational therapy covered by Medicaid can be life-saving — by helping kids learn to nurse, walk and speak, for example — and that the state is poised to limit access by forcing providers to drop out of the program. But a state employee called to testify in the case provided new evidence that the health commission has not formally studied how the cuts would affect children’s access to therapy services. Pam McDonald, the health commission’s director of rate analysis, confirmed that state employees were told never to say that they were certain the cuts would not jeopardize access to care. Notes taken by McDonald during a Sept. 3 meeting of health commission employees also show that a Texas A&M University study meant to analyze the affects on access to care never materialized. The state says it is “significantly” overpaying therapy providers compared to other states. 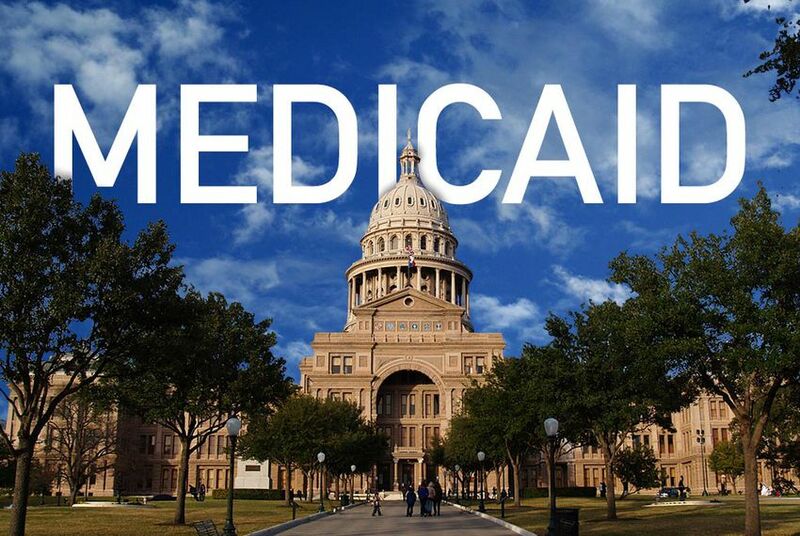 An analysis by the commission found that Texas’ Medicaid program paid more generously than Medicaid programs in 11 other states for most services. Texas therapists and home health agencies have criticized those claims, saying they are not apples to apples comparisons. Even though lawmakers approved the cuts earlier this year when they passed the budget, more than 60 legislators from both parties have weighed in on the therapy cuts in recent weeks. Democrats and some rural Republicans have come out against the cuts or urged the health commission to proceed with caution. Others, including lead budget writer state Sen. Jane Nelson, R-Flower Mound, and House Speaker Joe Straus, R-San Antonio, have reiterated their support for cutting payments while preserving access to care. Lawyers for the children's families say the two goals are diametrically opposed. "These children have such debilitating and challenging cognitive, developmental and physical issues that really their best hope at having a chance at succeeding as members of society and adults is getting those therapies at the right times, the right moments, and in the right settings," said Ben Hathaway, one of the attorneys suing the state. Arguments in the case are expected to wrap up Tuesday afternoon.